Attempting to juggle the blog (The Afterimage), sketchbook, camera and a small forest's worth of university readings around Sydney. 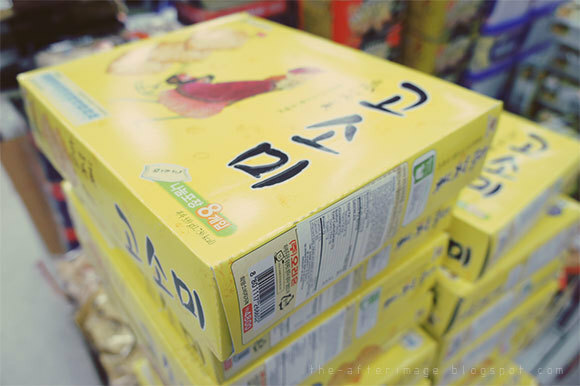 More additions to your international snack list expansion plans, continuing from my last article. 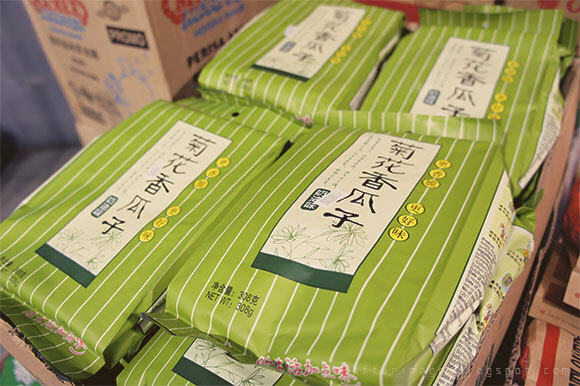 Most of these can be found at your local Asian supermarket (small tip: the Chinese-run supermarkets usually have a greater pan-Asia range whereas the Korean-run marts place more emphasis on Korean products). 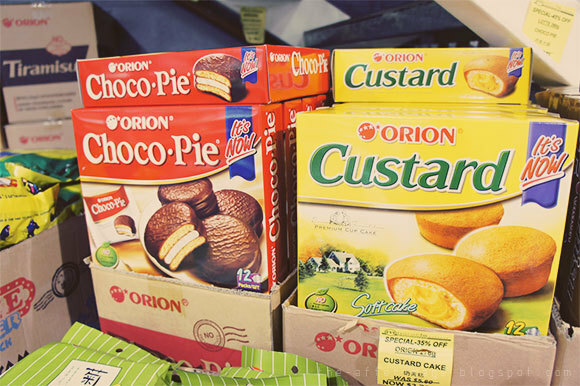 You will either love or hate the Chocopie, which is a common, popular snack, particularly in South Korea, and high on the indulgence scale. The two biscuits are light and crumbly and the marshmallow centre is fluffy. The flavour of a lot of pre-packaged Chocopies take awhile to come out, particularly the chocolate, so I recommend savouring the snack slowly. 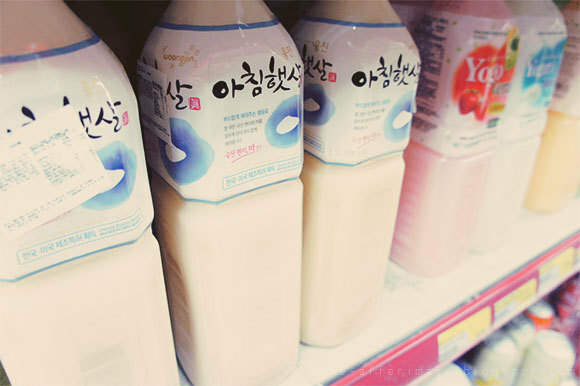 I love rice and wheat-based drinks and Woongjin's 'Morning Rice' drink is no exception. There's a really delicate flavour to this drink and it's not overly sweet, as some Asian drinks are. I definitely recommend this, especially if you're new to rice-based drinks. 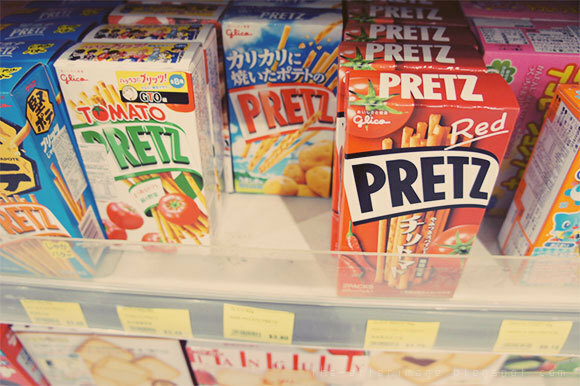 If you're more of a savoury snack person, Pretz is almost literally the savoury cousin of Pocky. No chocolate-covered sticks, but lots of flavour. There are some extremely interesting flavours to be found so have fun trying all the varieties. I admit – these are my ultimate weakness. Leave me unguarded and I can literally consume half a pack of these and get mouth ulcers. These are a favourite of middle aged Chinese people, so go figure. I've tried quite a few brands, and the green brand above is definitely my number one recommendation. There's a subtle, very fragrant flavour and the seeds are roasted well. If you've never eaten these, you basically break the dark shell (squeeze on either side or dig a nail into the opening and break the two halves of the shell apart) and eat the seed inside. Make sure you store these in airtight containers because they need to be crunchy and fresh. Be careful not to eat too many. These are extremely fragrant sesame and sugar biscuits. Don't be fooled by the small size of each individual package – the biscuits are extremely thin and there's a huge amount in each pack. The top is lightly dusted with granulated sugar and there's a vaguely coconut-y taste that I love. Thanks interesting piece. Will look out for those roasted sunflower seeds.